KODAK i1190E Scanners are the perfect desktop transaction processing tools for business. Compact, fast, and quiet, they accelerate workflows to increase productivity. And with advanced image processing built in, you can benefit from the cost efficiencies of a thin client environment. Easily integrated with software and enterprise applications, they can scan, capture information, and extract and share data with the business apps you use every day. 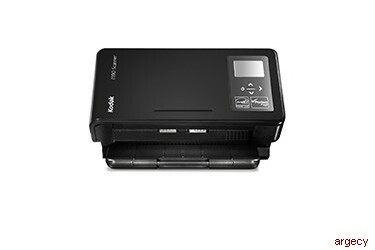 KODAK i1190E Scanners are relied on in a wide range of applications including banking, finance, insurance, healthcare, and government. The KODAK i1190E Scanner can help you escape traditional scanner imaging requirements that increase IT support costs and limit the accessibility and scalability of capture solutions. They have embedded advanced image processing and are optimized for use with browser-based capture applications, including KODAK Info Input Solution. KODAK i1190E Scanners integrate seamlessly into a wide range of environments, including WINDOWS, MAC, and LINUX operating systems. They also provide TWAIN, ISIS, and LINUX driver capability with business applications. Be assured that your KODAK i1190E Scanner will meet your evolving business needs for years to come with our worry-free warranty and full spectrum of essential services, from installation to support.